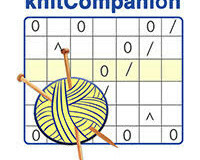 Home » Posts tagged "knitcompanion"
Annetarsia Knits is available for the KnitCompanion platform! Posted on October 26, 2015 by annetarsia in About Anne, Annetarsia Knits. Comments Off on Annetarsia Knits is available for the KnitCompanion platform!